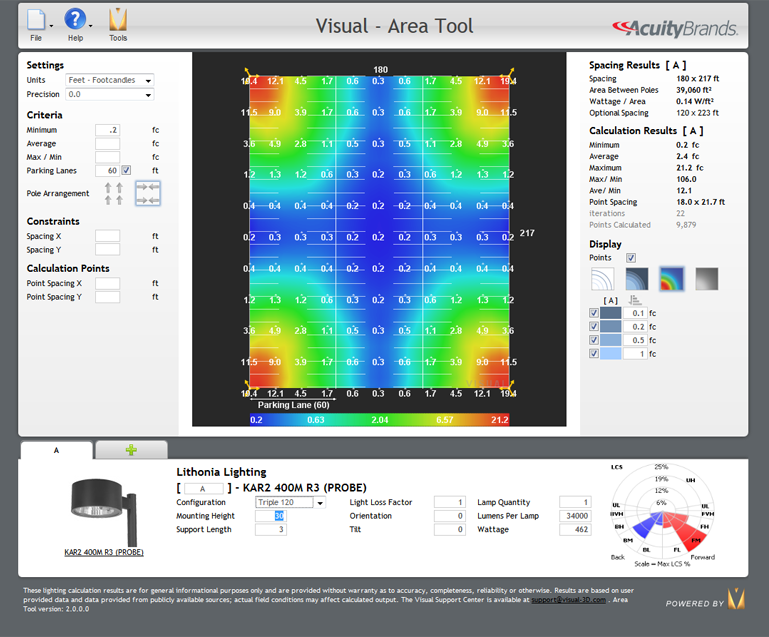 The Visual Area Tool is a tool designed to allow users to quickly determine pole spacing from an illuminance criteria or illuminance levels from user specified spacing. There are four poles, with selectable luminaire configurations. Enter an illuminance criteria and either an X or Y spacing. 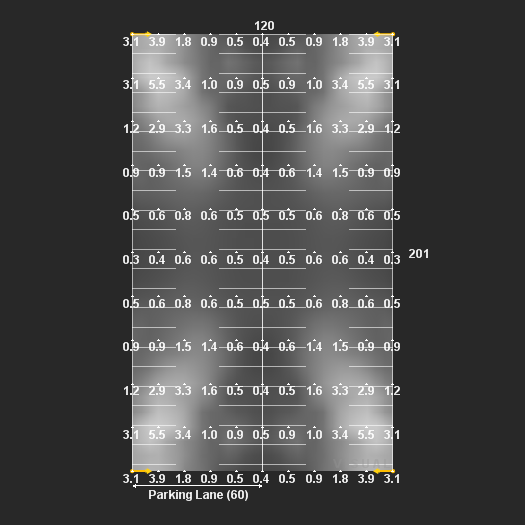 The Area Tool will then optimize the spacing in the other direction to provide the largest spacing that meets the illuminance criteria. Enter only illuminance criteria. 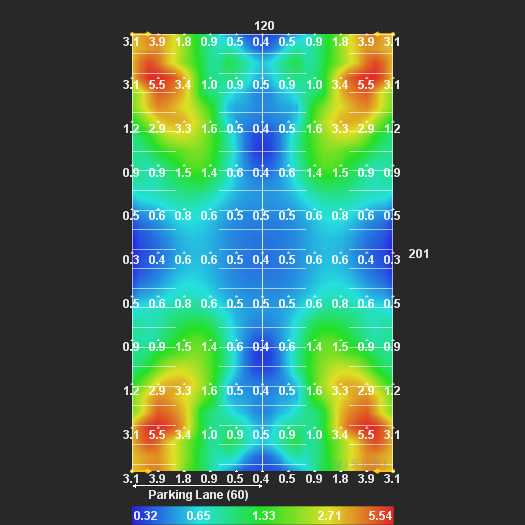 The Area Tool will then optimize the spacing in the X direction in 30' (or 9m) steps, and to the maximum spacing in Y that meets the illuminance criteria. The solution is the arrangement that covers the largest area while maintaining the illuminance criteria. 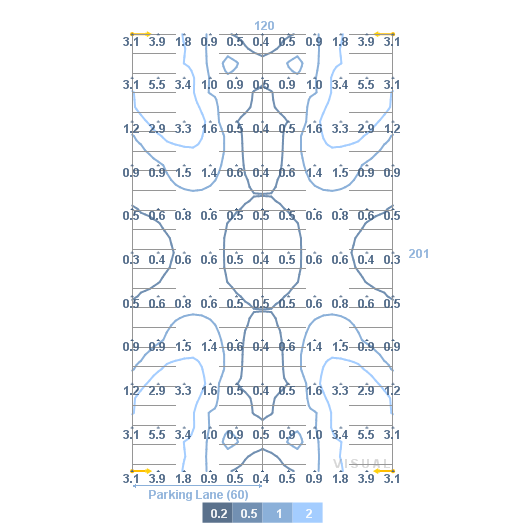 Enter X and Y spacing and the tool will calculate the illuminance levels achieved.